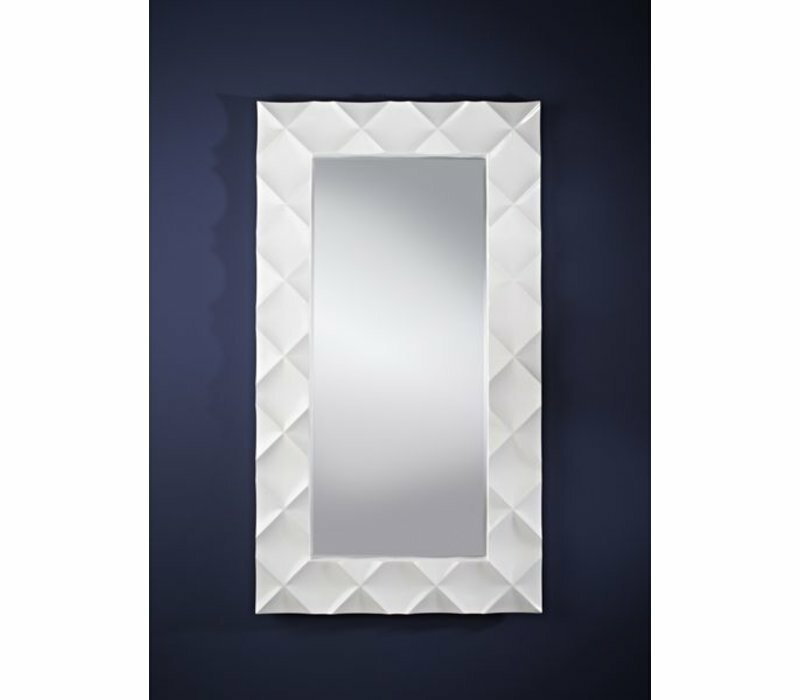 This 96 x 172 white mirror Crocio has a wide white frame in XL 'croco' pattern. 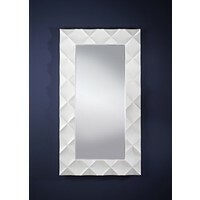 Beautiful mirror with a luxurious international appearance! 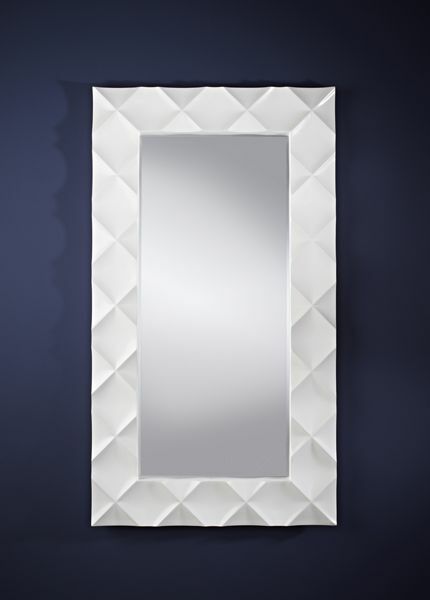 The white mirror 'Crocio' by the Belgian mirror manufacturer Deknudt has dimensions of 96 x 172 and stands out due to its wide frame in XL croco-pattern, finished in a gloss varnish. 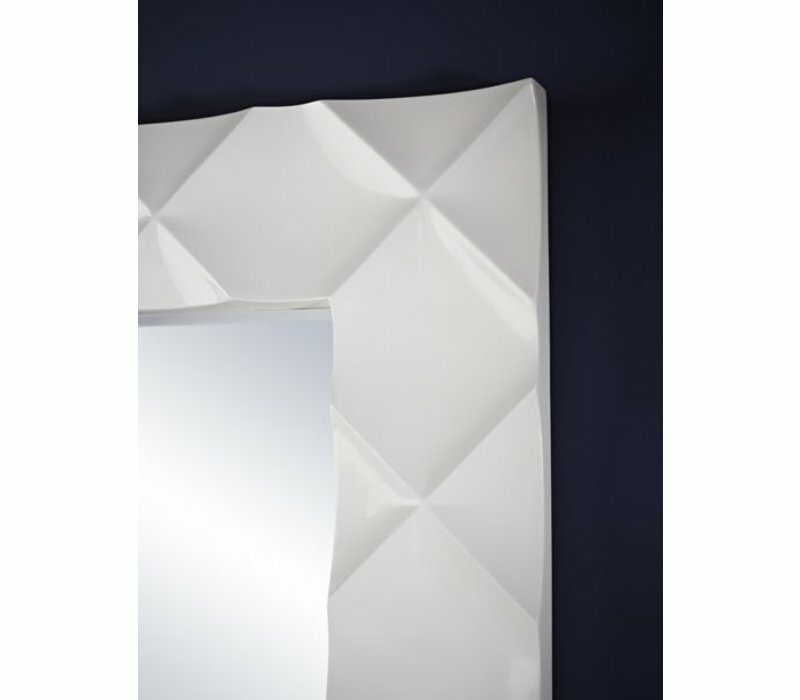 A white mirror Crocio can be applied in practically any interior, it is easy to combine but is certainly no wallflower. Crocio is an eye catcher! 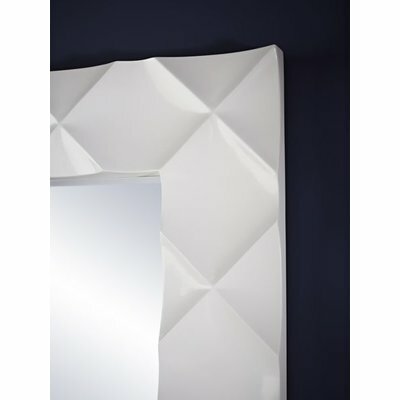 The white mirror Crocio is delivered complete with hanging set and can be placed or hung both lying and standing. The frame is made of polyutherane (PU), a high-end and durable plastic, varnished in semi-gloss white varnish. 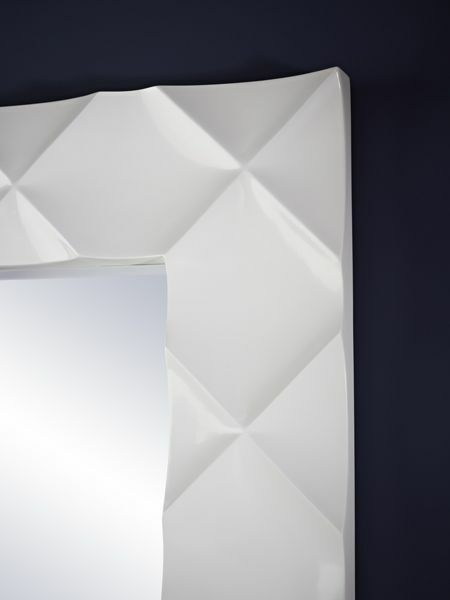 The central mirror is facet cut, for an extra luxurious appearance.